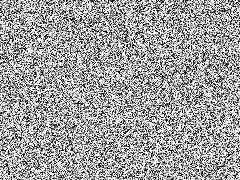 White noise is a random signal with a flat (constant) power spectral density. White noise - signal contains equal power within any frequency band with a fixed width. This was written some days ago. Trying to "age" it, as a good old wine. Then we got sunny March days. sunny? does that still exist?? through spring . . . The snow is a fascinating element, so silent, clean white. some day, some year, sooner or later. "any frequency band with a fixed width" No modulation? I really like #1 and #2; stress, and relief. Relief allows us to cope... #3, "this busy world around us." Yes Magyar, thats pity. No modulation within white noise? There is a wide radiotransmitter on, but no one keying it. Sure there is noise built by our own equipments, as actice RF-pre-amplifiers etc. But if using Dolby-systems it will clean extra "noise" and its silence there? Is it. And what is silence, dB? __My license has long ago expired... but my transceiver still works. I learned telegraphy when joined Finnish Navy. Sailed onboard a frigate as one of her radio-oprs. After that I graduate as an international radio-operator and sailed as a radio-officer (merchant navy, of course) some 20 years. All the time I studied more radio-electronics, and ship's radars which I also maintenanced. I got a certificate for that, too. When Radio-officers no more needed onboard the ships I joined as a civil to help Finnish Police with those communications and data-systems. Retired two years ago. I am still working in Finnish Radio Officer's union. I'm a chairman now. Ought to retire therefrom soon, too, I guess.